Coming up with a new technology that the healthcare industry really needs isn't that difficult. The hard part, of course, is circumventing failure and generating an ROI from your innovation. Every entrepreneur faces obstacles when commercializing a new product innovation. However, charting your course in healthcare can be even more daunting. 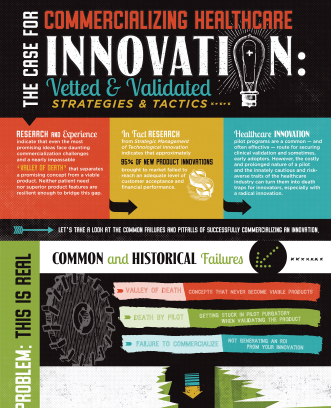 Common failures and pitfalls of successfully commercializing an innovation. Vetted and validated strategies and tactics that will help you prevent failure.